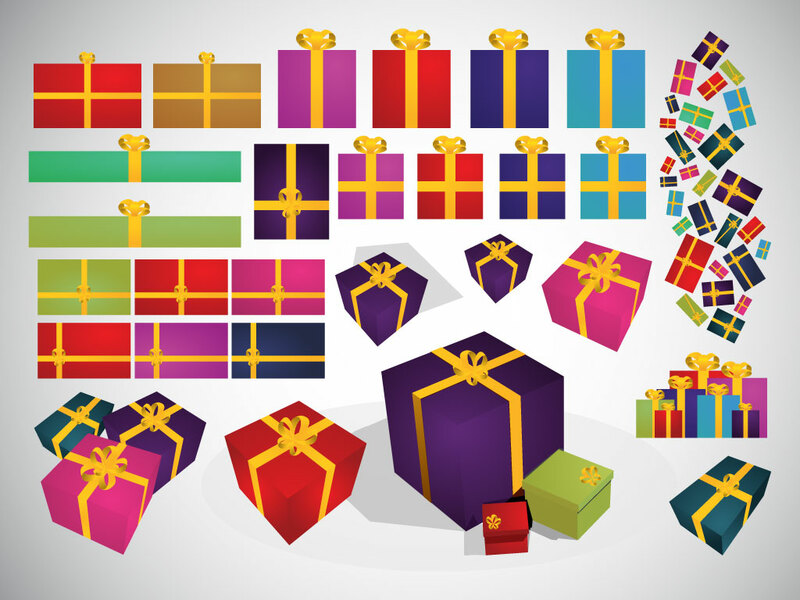 This gift vector bundle comes with many different presents in different views. Great rich and colorful graphics to dress up your greeting cards, invitations, holiday designs and celebration graphics. Zip file comes with AI, PDF and JPEG file formats. Tags: Birthday, Gift, Giving, Holiday, Package, Party, Present.